By now you’ve surely heard phrases like “smart growth,” “sprawl,” and “sustainable development.” In this section we’ll try to come up with a common understanding of those terms. Smart growth is growth that serves the environment, the economy, and the community equally. It attempts to concentrate development into already-existing communities when possible, and it addresses the inherent interconnections between environmental protection, social equity, public health, and economic sustainability. Mix Land Uses. New, clustered development works best if it includes a mix of stores, jobs and homes. Take Advantage of Existing Community Assets. From local parks to neighborhood schools to transit systems, public investments should focus on getting the most out of what we have. Create a Range of Housing Opportunities and Choices. Not everyone wants the same thing. Communities should offer houses, condominiums, homes for low income families, and “granny flats” for empty nesters. Foster Walkable Neighborhoods. These places offer not just the opportunity to walk, but something to walk to, whether it’s the corner store, the transit stop or school. 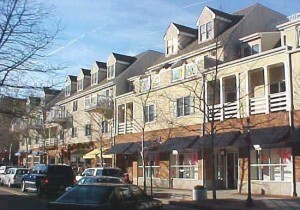 Promote Distinctive, Attractive Communities with a Strong Sense of Place. In every community, there are things that make each place special, from train stations to local businesses. These should be protected and celebrated. Preserve Open Space, Farmland, and Critical Environmental Areas. People want to stay connected to nature and protect farms, waterways, ecosystems and wildlife. Strengthen and Encourage Growth in Existing Communities. We should look for opportunities to grow in already built-up areas before we pave new areas. Provide a Variety of Transportation Choices. More communities need safe and reliable public transportation, sidewalks and bike paths. Make Development Decisions Predictable, Fair, and Cost-Effective. Builders wishing to implement smart growth should face no more obstacles than those contributing to sprawl. Encourage Citizen and Stakeholder Participation in Development Decisions. Plans developed without strong citizen involvement don’t have staying power. When people feel left out of important decisions, they won’t be there to help out when tough choices have to be made. What does good smart-growth development look like? Here are some resources to give you an idea. Design Your Town is an interactive web-based resource for citizen planners, professionals and anyone concerned about the quality of the villages and landscapes where they live. It includes sustainable designs for different kinds of places as well as the details, policies and regulations needed for implementation. Urban Advantage creates visions of pedestrian-friendly, socially-interactive communities by transforming photographs with photo-editing software. This Sierra Club website highlights six communities around the country that have undertaken smart-growth and infill development projects. This Atlanta-based smart-growth organization has assembled slide shows of smart-growth projects both in the Atlanta area and around the country. Browse around this “virtual suburb” to see how smart growth and new urbanism works. Some frequently-asked questions about how smart growth would affect New Jersey's future development, including how it affects traffic, taxes, and land preservation. What are the decisions and investments a community must make in order to grow smartly?